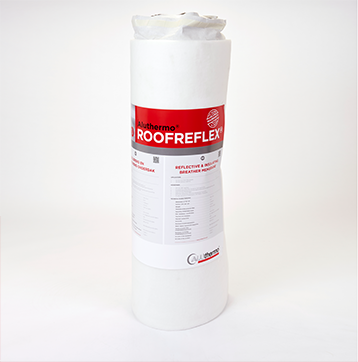 An insulating, reflective roof membrane that is watertight and highly vapour-permeable. It is always used above existing insulation. May be used for the roof or walls (cladding) from the outside only. EPC & LABC certified. This insulation material improves the roof’s overall thermal resistance by combining its many qualities with those of the insulation material installed between the rafters. Its impermeability significantly limits the penetration of cold air in winter, reduces thermal bridges and reduces the risk of condensation. 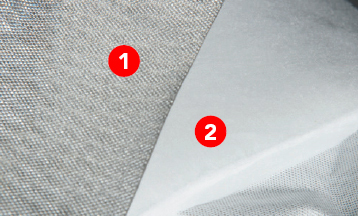 Its insulating layer of polyester wadding reduces energy loss and increases acoustic protection. Finally, the reflective power of this insulating roof membrane provides considerable protection against the sun’s rays and significantly improves comfort by reducing the risk of overheating in summer.